Skandia plantation shutters are our number one selling shutter for homes in Westlake Village, Agoura Hills, Calabasas, Malibu, Thousand Oaks and Ventura County. In addition to adding charm and elegance to any room, Skandia shutters are extremely sturdy and practical. Skandia custom-made shutters are manufactured to your exact specifications. Available in a wide selection of louver (slat) sizes, Skandi shutters provide a wide range of light control and privacy options. 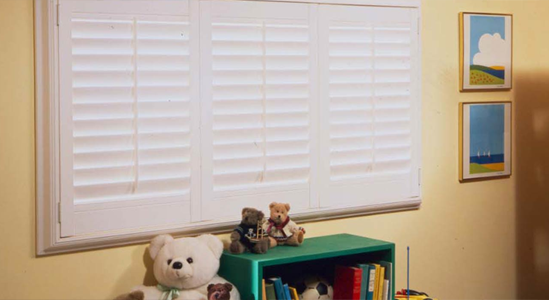 Skandia’s affordable vinyl shutters and premium hardwood shutters are both extremely durable, and effective at insulating against hot sunny days and cool California nights. 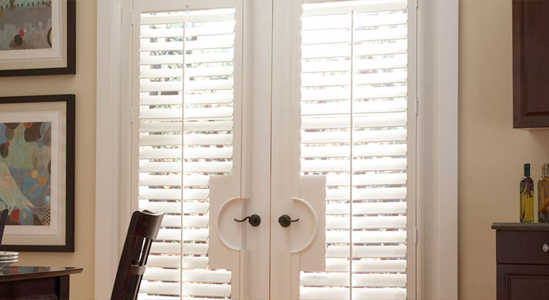 The beauty of handcrafted, Made in the U.S.A. Skandia Shutters is truly unmatched. Their price point is competitive with overseas-made shutter brands, yet their American-made quality is far superior. And because they are US made, there are also never shipping delays in receiving your custom shutters. Skandia premium hardwood shutters offer a more durable strength-to-weight ratio than vinyl or PVC faux wood shutters. Wood shutters are truly an investment in your home – as their durability will stand the test of time. Skandia wood shutters offer the greatest selection of colors. In addition to the standard colors below, they can be stained or custom painted in any color. For the highest level of customization, Skandia enables you to pick from any Sherwin Williams and Benjamin Moore color deck, and Skandia will paint the shutter in the custom color that you’ve selected. Affordable Skandia faux wood shutters are less expensive than hardwood – yet stunning and sturdy. Skandi offers three lines of vinyl or PVC shutters at a lower price point than hardwood shutters. Skandia faux wood shutters are available in a fine selection of neutral colors (below) sure to match any decor or decorating style. These well-priced Skandia Vinyl shutters – sometimes referred to as poly or PVC shutters – are less likely to warp when exposed to moisture than wood shutters. This makes them the ideal shutter choice for kitchens, bathrooms, laundry rooms, pool areas and even garages.